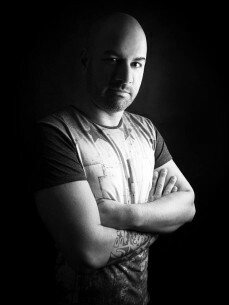 Alex Di Stefano, a producer of over twenty years experience, is bringing a breath of fresh air to the electronic dance music scene of present with a unique style of techno trance combined with a large musical knowledge of past and present. Its fair to say Alex has created a huge impact in a short space of time and is widely regarding as one of the hottest properties within his genre. Coming from a family of musicians, Alex has developed his talents since the age of 10 years and he always knew that his future would belong to the world of Djing and production. Starting in 1993 with performances as a live act in numerous well-known clubs in the south of Italy, he immediately put himself on display his skills as a performer. Soon Alex was inundated with booking requests and even residencies at 3 different venues as well as hosting a regular radio show. These steps gave him the breakthrough into the world of music production. In 1994 Alex produced the first Italo-dance single under the alias 'DayDream' entitled 'Thinkin' About You' which gained major success throughout Europe. A year later came his second single 'DayDream - Through The Night', from this release Alex gained recognition from the most well-known Italian labels such 'Next Records', 'Red Music', 'X-Energy' and many more! Alex’s desire to try new sounds and experiences did not stop, he decided to give a further boost to his career by moving to Rimini in Northern where he knew he would have many more opportunities such as a new residency. It was here that Alex’s music style evolved to a more techno-trance sound. Alex stood out immediately on the Adriatic Coast, considered by many the second ibiza, it was here in 2002 when he performed in one of the most famous Italian clubs 'Cocoricò', his performance had the Italian scene speaking his name in high esteem. In less than a year Alex was headhunted to be part of a well-known production team 'Digital Team Studio - Rimini' where he worked for 4 years releasing hit records such as 'Mash - In Your Arms', 'Mash - One Day', 'Mash - Oak Island', 'Mash - Be My Girl' and many more. Considering his experience as a producer and numerous productions released under different aliases, Alex decided to focus on his career as a solo artist in 2007, starting to release tracks in more minimalist style which evolved itself to what we call his Tech-Trance Style of today. His diversity as a producer marks a turning point in Alex's career which has seen him release tracks for many well-known labels such: Subculture, Outburst Records, JOOF Recordings, Kearnage Recordings, Lange Recordings, In Trance We Trust, 1605, Diffused, Techburst Records and many more. Alex’s productions are touching the major labels, producers, promoters and clubbers, getting excellent results in all major digital stores and support from industry figure heads such as by Armin van Buuren, Simon Patterson, John O'Callaghan, Mauro Picotto and Max Graham to name but a few.